This is one for those happy moments. You know the kind where your soul is at peace, your heart is content and the kids are not chewing on each other. It does not happen every day but when it does oooh how I cherish these moments. 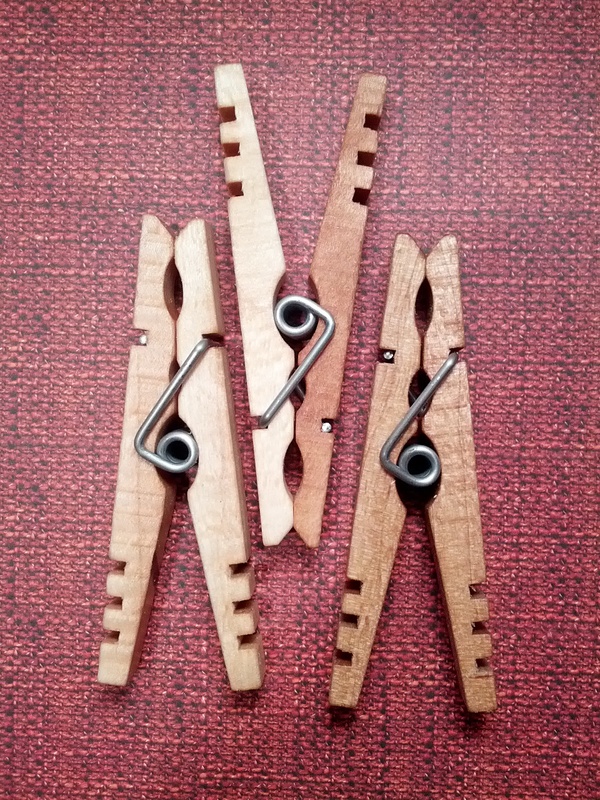 Here are the basic steps to building our clothespins. I am not going to go into specific details of measurements. The dimensions of your pin will rely on the measurements of the torsion-spring that you are using. The springs on the market vary quite a bit.